Because we are self aware and growth oriented, we INFJs often think we know the type of person who is best for us. However, if we don’t have much dating or relationship experience, it’s hard to know what the perfect partner for us actually looks like. One thing I’ve learned in my dating experiences as an INFJ is to treat relationships as learning experiences. First impressions can be deceiving, even for the INFJ. The more you allow yourself to spend time with people who may not be your typical “type,” the more you learn from them. 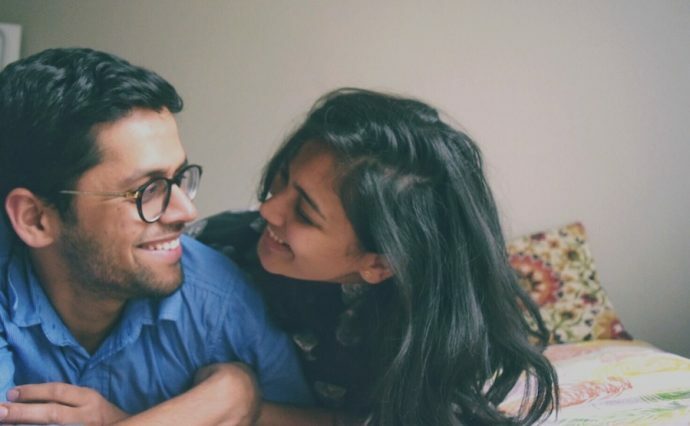 Here are the nine types of people you should try dating — or at least get to know — as an INFJ. INFJs are idealists. We want to change the world. But we spend so much time trying to understand issues from every perspective that we can easily lose track of our ultimate mission. The Revolutionary Dreamer knows what’s important to them, and they stand up for their beliefs with bold intensity. They will take the INFJ’s hand and lead them into the battle for what is right, encouraging them to care less about what everyone else thinks of them. INFJs admire the way the Revolutionary Dreamer speaks out against anything that isn’t in line with their moral compass. INFJs spend a lot of time being there for others. We sometimes forget how important it is to have someone who truly wants to be there for us. While we may be attracted to charm and bravado, we shouldn’t take other compassionate and serene types for granted. The Quiet Confidant is an excellent partner for the INFJ. They can help the INFJ feel comfortable sharing their thoughts, ideas, and dreams without judgment. This type wants to give their INFJ exactly what the INFJ gives to everyone else — the space to be heard. An INFJ in a relationship with a Quiet Confidant may feel like they are truly heard for the first time in their life. The Quiet Confidant teaches the INFJ to value their own voice and encourages them to share their ideas with the world. INFJs are visionaries. We’re often confident in what we want in life, but we struggle to see our dreams into reality. The Assertive Go-Getter knows what they want, and they chase it with full force. This type isn’t afraid to demand what they deserve and encourages the INFJ to do the same. The Assertive Go-Getter can help their INFJ realize a clear action plan to achieve what they want in life. This type encourages the INFJ not to allow fear or doubt to get in the way of their dreams. The INFJ admires the Assertive Go-Getter’s diligence and hard work, and from observation, can incorporate these skills into their own life. INFJs are rarely apathetic. We tend to have strong opinions and beliefs, but we keep these to ourselves for fear of hurting or offending someone else. The Confident Debater expresses their views with a calculated confidence that is particularly attractive to the INFJ. The Confident Debater isn’t timid when it comes to discussing controversial topics, like politics and religion. In fact, they encourage these sort of conversations, and with the right conversationalist, the results can be extremely constructive. With a Confident Debater by their side, INFJs can learn to view ideologies as necessary systems separate from their emotional involvement. INFJs are dreamers. We spend so much time in our heads that we often forget the practical necessities of everyday life. A Practical Planner will hold their INFJ’s hand and gently bring them back down to earth when needed. These types learn from the past, live in the moment, and plan for the future with realistic caution. They can help the INFJ assess their goals and dreams from a realistic perspective and plan practical steps forward. The Practical Planner is ever loyal and can help the idealistic INFJ learn the value of commitment and hard work, even when things aren’t ideal. INFJs are planners. We’re not adverse to new experiences, but we prefer having time to prepare for them. We’ll go skydiving, but not without talking to several people about the experience, reading online forums, and going over our predetermined Q&A with the instructor before getting on the plane. The Spontaneous Adventurer pushes their INFJ way outside the limitations of their comfort zone. This type can help the INFJ live in and enjoy the moment. They encourage the INFJ to try new things, even if they scare them — especially if they scare them! Creativity is important for the INFJ. However, when it comes to creative pursuits, INFJs often struggle with self-doubt and perfectionism. The Free-Spirited Creator can help the INFJ find what it is that truly fascinates them and teach them how to turn this fascination into a creative passion. The Free-Spirited Creator realizes that creative fulfillment is in the journey, not the destination. This is an important lesson for the INFJ who is always looking toward the future. The Free-Spirited Creator encourages the INFJ to live in the moment and see beauty in the tiniest details. INFJs are always aware of the energies and motivations of other people. This awareness causes them to mimic the behaviors of others, and they reserve their true character for people they feel completely comfortable around. The Quirky Good Guy or Girl may also be aware of what other people think, but they don’t let this hold them back from being who they truly are. This type can help the INFJ embrace their unconventional nature and encourage them to let their true personality shine. The Quirky Good Guy or Girl loves the INFJ because of, not in spite of, their weirdness. They can help the INFJ realize that their strange qualities are what make them special. The best type for an INFJ is not one type at all. INFJs can learn and grow from any personality type, in different ways. While INFJs should be open to relationships with various kinds of people, ultimately your goal should be to end up with the Best Friend. The Best Friend is the person who supports your goals and dreams. They take the time to understand what motivates you, excites you, challenges you, and hurts you. They know how to make you laugh, and they’ll listen to you with patience when you cry. The Best Friend will challenge you to be your best self, even if it’s uncomfortable, because they want what’s best for you. They value what you have to teach them as much as what they can teach you. They see you as an equal and give you the respect you deserve. They love you, because you’re their best friend, too. 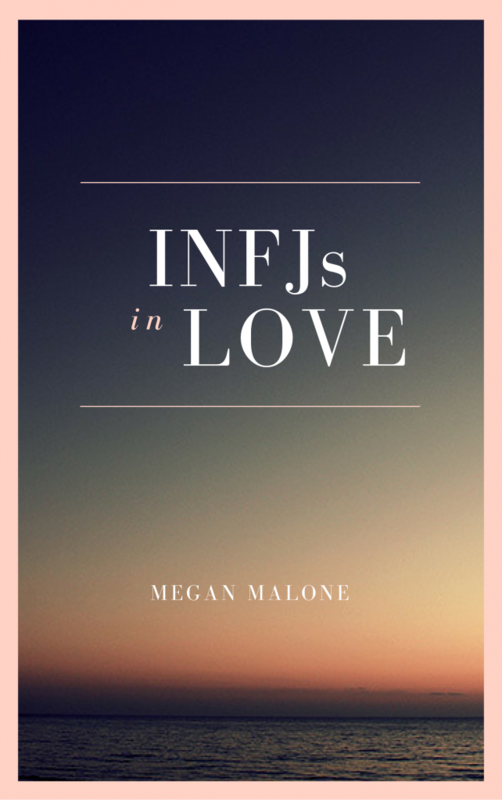 To learn more about the relationship dynamics between INFJs and each of the 16 personality types, check out my new eBook, INFJs In Love.